There Goes My Hero is excited to announce a new event for this fall…. The business-casual evening will feature tastings from local food vendors and restaurants paired with select beers, wines, and bourbons. Enjoy a signature cocktail as you network on the main floor, or come upstairs to the VIP lounge, where we’ll be offering full pours all evening. Valet parking is available. 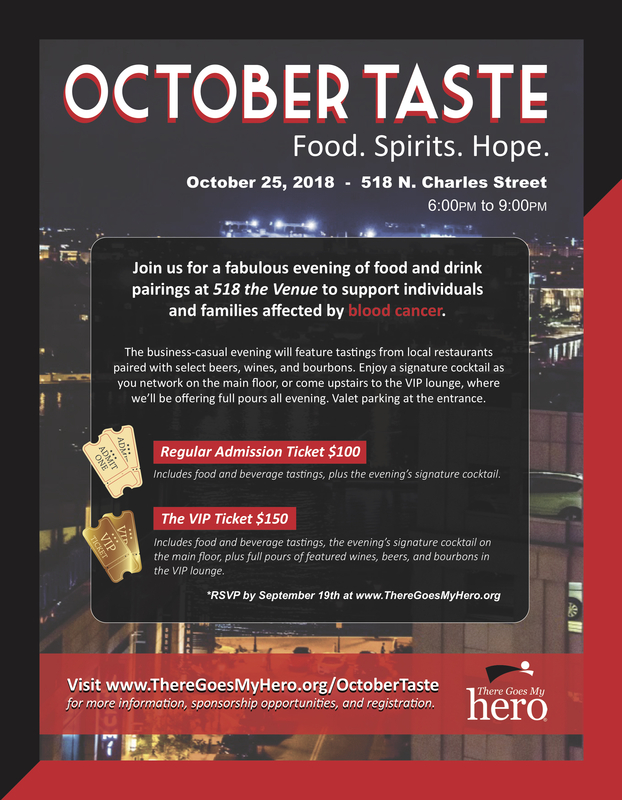 Regular admission to OctoberTaste includes food and beverage tastings, plus the evening’s signature cocktail. The VIP ticket includes food and beverage tastings and the signature cocktail on the main floor, plus full beverage pours of featured wines, beers, and bourbons in the upstairs VIP lounge.